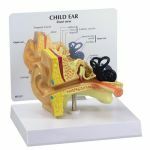 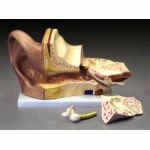 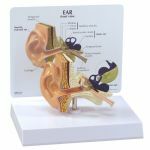 This 3 times life size anatomical model features a removable ear drum with hammer, anvil and stirrup as well as 2-part labyrinth with cochlea and auditory/balance nerve. 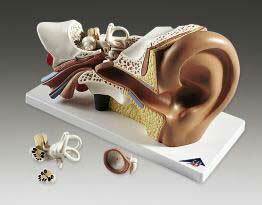 Mounted on base. 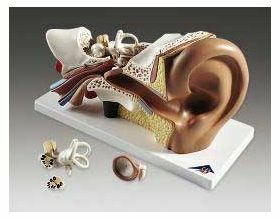 Size: 13 1/3" x 6 1/4" x 7 1/2"